Written on 18 February 2015 . 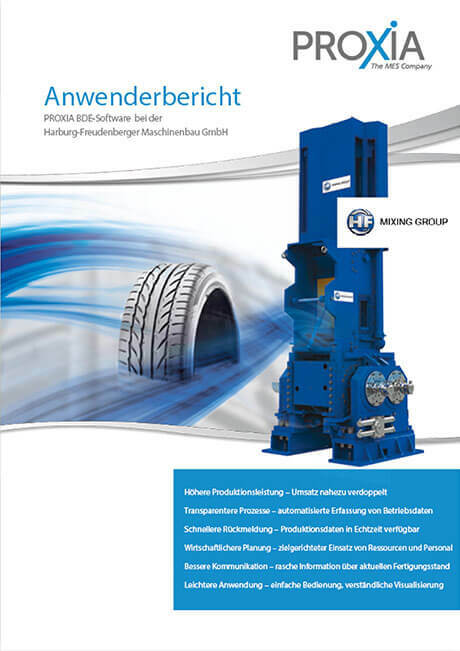 Harburg-Freudenberger Maschinenbau GmbH has built a very solid economic base over its history. A key factor of this success is the passion with which employees consistently develop innovative mechanical engineering solutions for the rubber and rubber processing industry, which set the standard worldwide. As these successful companies grow, they are always striving to make their internal processes more transparent and therefore more efficient. PROXIA BDE software supports mechanical and system engineers in maintaining an overview of all processes in production, making the best use of their resources and ensuring growth in production.